UPDATE, 12:49 p.m.: The family of the suspect killed by police in a standoff Wednesday night said he was mentally ill. They said Tyrone Holman was taking medication for schizophrenia. The 37-year-old has a lengthy rap sheet, including killing his brother at 4408 Monroe, the house where Thursday's standoff took place. Police finished collecting evidence Thursday where Holman lived in illegally, as the house had been condemned. According to the Kansas City Police Department, when Jackson County Sheriff's Deputies showed up Wednesday to evict Holman, he displayed a gun. The sheriff deputies then called police, beginning the standoff. Investigators say that Holman threatened to shoot police and blow up the neighborhood. That prompted police to evacuate some of the homes, including one directly across the street. “I was kind of shocked about what was going on and it was apparent that he had some issues," said Alicia Hall-Turner, an area neighbor. "I didn’t think he was a danger, you know. I didn’t think he was a danger, but when we evacuated, it was more serious than I thought." 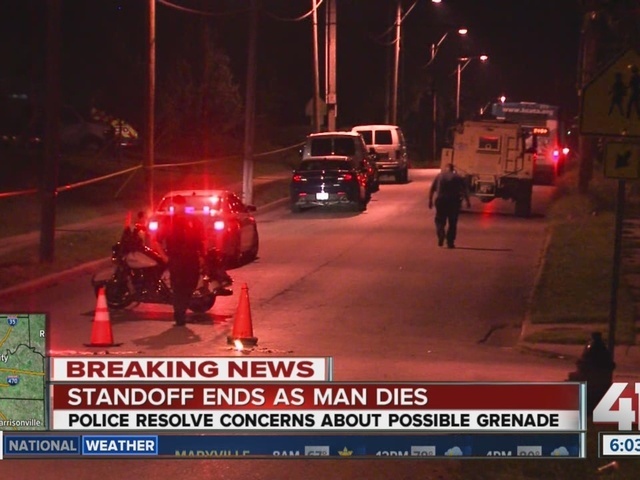 Officers shot and killed Holman around 10:30 p.m. Wednesday when he waved a hand grenade at them. “They did what they had to do,” she said. UPDATE, 4:02 a.m. 9/10: At around 10:30 p.m. on Wednesday night, the standoff ended after the man came out of the home and threatened police officers. 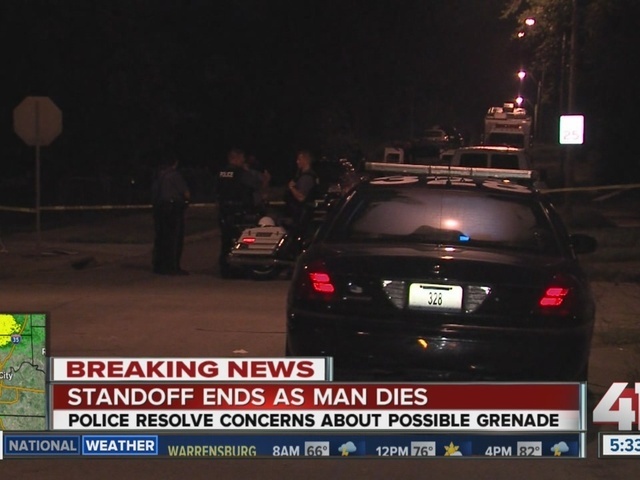 An officer fired upon the man after he threatened them with what they believed to be a grenade. By 2 a.m., police secured the hand grenade, which did not appear to be live, according to police. Police also searched the home and determined it was safe from further threats. 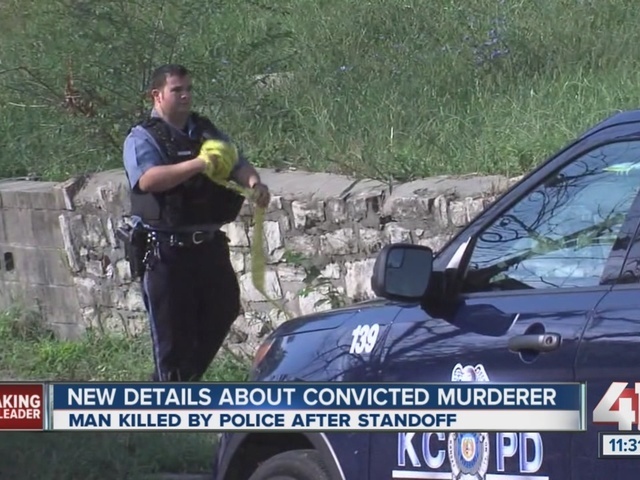 Kansas City Police Department spokesman Ty Grant said negotiators spoke to the man for almost 12 hours on Wednesday, seeking a peaceful resolution. However, he continued making threatening comments, including sending “officers to the morgue.” The suspect also said he would blow up the entire neighborhood. Detectives will continue to investigate the scene and officer-involved shooting. 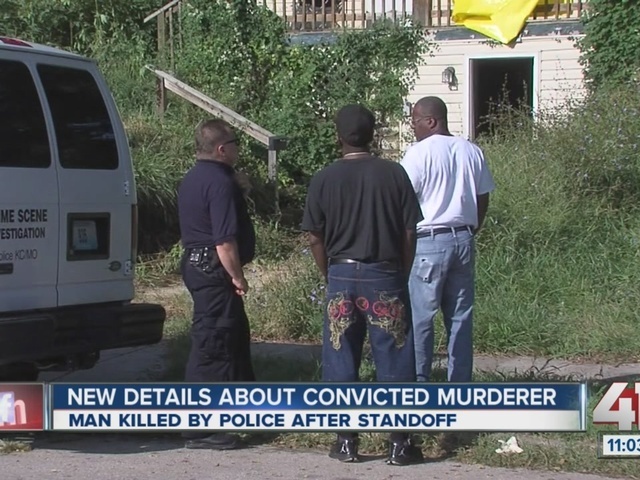 Police say the man had just been released from prison after killing his brother. The death happened 12 years ago at 4408 Monroe, the same home where the standoff happened on Wednesday. UPDATE, 12:20 p.m. - According to Kansas City police, the man inside the home is armed with a rifle and a hand grenade. Jackson County deputies were serving an eviction order to the owner of the home. It didn't go as planned, according to police. No one else is inside the house. Kansas City police are currently in a standoff with an armed man on the 4400 block of Monroe Avenue. 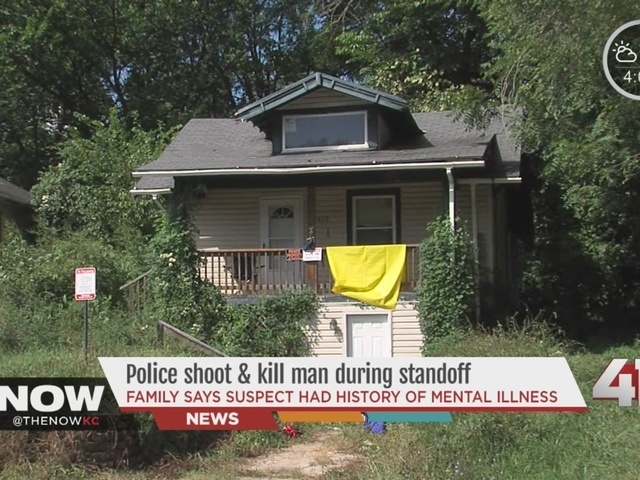 The standoff began around 11 a.m. on the east side of Kansas City. Police have established a command post at 43rd and Cleveland. This is a developing story. Stay tuned to 41 Action News for more information.